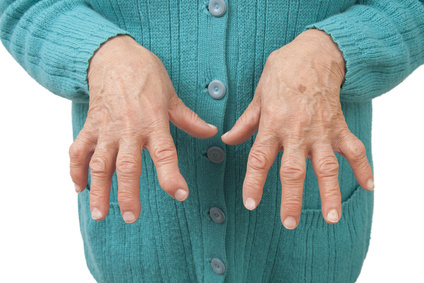 If your hands and feet start to become swollen, and later your hips, knees, and shoulders follow suit, there's a possibility you have rheumatoid arthritis. Rheumatoid arthritis (RA) is when the body's immune system rebels, and starts to attack the various parts of the body, resulting in painfully swollen joints. The physical manifestation of RA are raised bumps or nodules under the skin, and sufferers of the condition may also experience fatigue and weight loss. Unfortunately, advanced forms of the condition can cause your joints to become severely deformed and effectively render you physically handicapped.